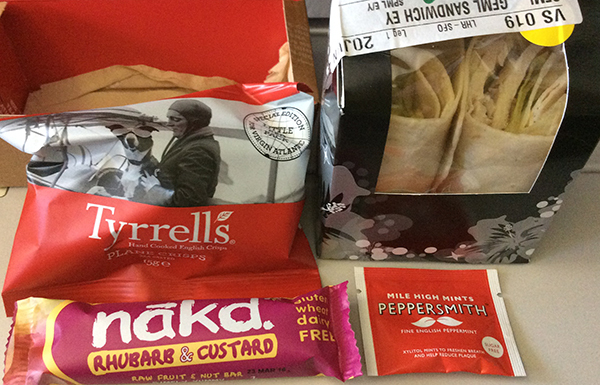 Gluten Free Travel Virgin Atlantic provided some excellent food on my flight from Britain to USA. 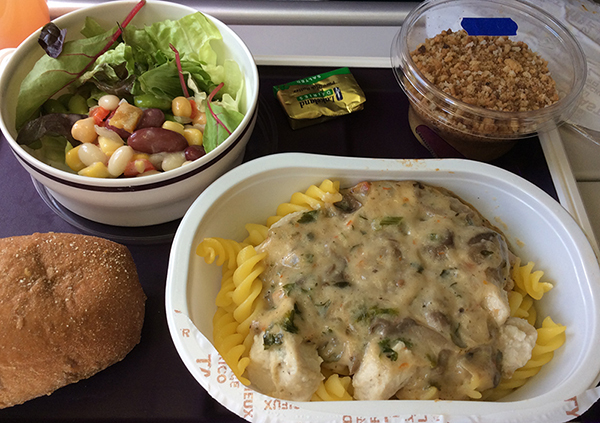 In particular I didn’t expect to enjoy the best gluten free airline meal I have ever had. And this was in economy. Top marks to Virgin Atlantic! 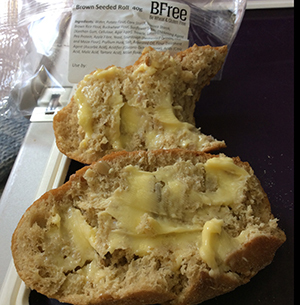 I was travelling economy on a transatlantic flight from London, England to California in the U.S. As always when flying, I had informed Virgin Atlantic in advance that I would require gluten free food. The staff (with one exception) was excellent, bringing my gluten free meals to me without any prompting in their normal relaxed friendly style. The main meal really was delicious. It started with a mixed bean salad starter with a small brown roll and butter. The roll was the best gluten free bread I have ever tasted! Quite an achievement for airline food. The gluten free roll was from an Irish company called BFree. I had come across this company before at a Free From food fair in London a few years ago and had been impressed. The roll had fantastic flavour and texture. It really felt like there was no compromise in making this gluten free. 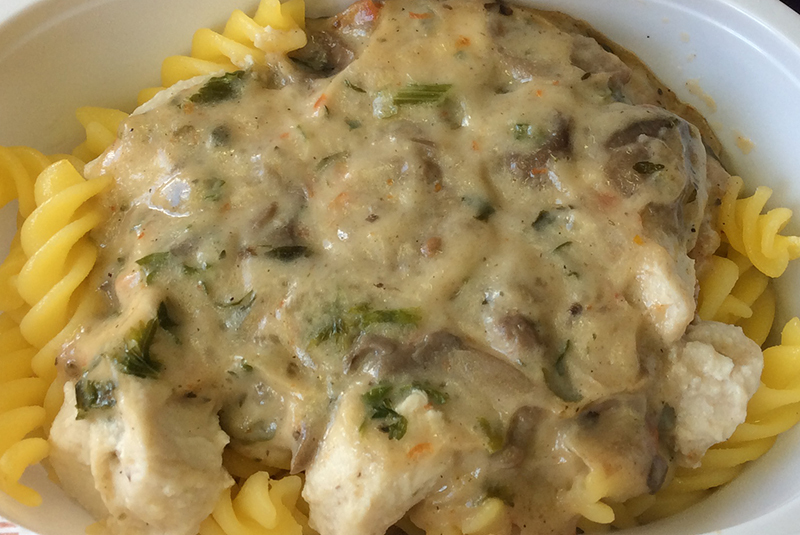 The main dish was creamy chicken in mushroom sauce with pasta. 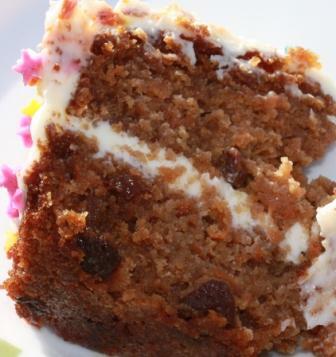 It was lovely and creamy with good flavour, very moist with a good mix of textures. The meal was rounded off with a very satisfying apple crumble with a hint of cinnamon. There were two other "snacks" during this eleven hour flight. The first was a small but very tasty chicken roll with a bag of fresh fruit. They certainly didn't hold back in providing me with lots of gluten free food, so much in fact that by the time the final "snack" of chicken wrap, crisps and fruit bar arrived I couldn't eat it all. There was one small glitch in an otherwise perfect gluten free flying experience when, in the middle of the flight they gave out a small iced lolly to everyone on the flight. They gave them out so quickly I didn't have time to check with the cabin crew if it was gluten free. It was in a pack with limited ingredients information on it, it looked like it was probably ok but I was unsure whether I could have it. It took me a while to attract someone to ask. When I did she simply said she didn't know and couldn't guarantee it was gluten free. She was clearly busy but it wasn't a brilliant response given how good the rest of my gluten free flying experience had been with Virgin. However at least she was honest and didn't try to say it was probably ok which I have heard so many times over the years. I decided not to risk eating it. Travelling when you need wheat and gluten free food can cause anxiety particularly with long flights when you can’t nip out for some alternative food. It is good therefore when you find companies that not only provide gluten free food but have made the effort to mirror the “normal” food offerings and provide really tasty food. Despite this one glitch I would definitely fly with Virgin Atlantic again and will look forward to my gluten free airline food.